Ever since I posted the results from my latest poll, Which diet(s) best describe(s) you?, I have been wanting to incorporate more vegetarian recipes into this site. Give the people what they want, right? Heehee. It’s interesting just how many meals can be made into a “vegetarian meal” just by taking out the meat in what you’re already cooking. Many times, I find you don’t even miss the meat. Enter the vegetarian quesadilla. The Spinach, Mushroom and Jack Quesadilla. This is a tasty vegetarian dish that originally included chicken. 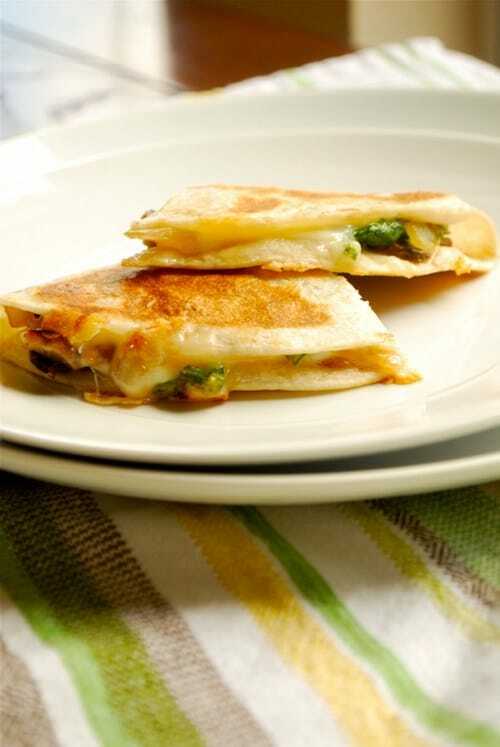 This quesadilla is super tasty and easy to make. I think it works great as a nice lunch or a light dinner. I especially like the flavor combination of the melted jack cheese and fresh spinach. Throw in some garlic and mushrooms and it’s on! 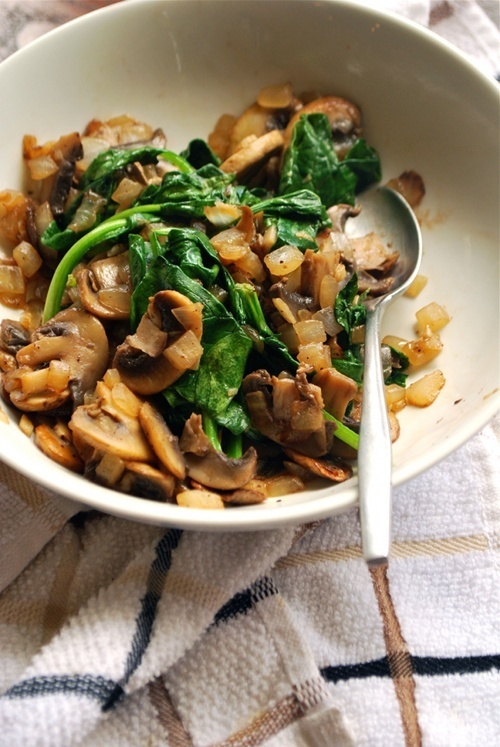 Vegetarian Spinach, Mushroom and Jack Quesadilla that's super tasty and easy to make. Works great as a nice lunch or a light dinner. Heat olive oil in non-stick skillet over medium-high heat. 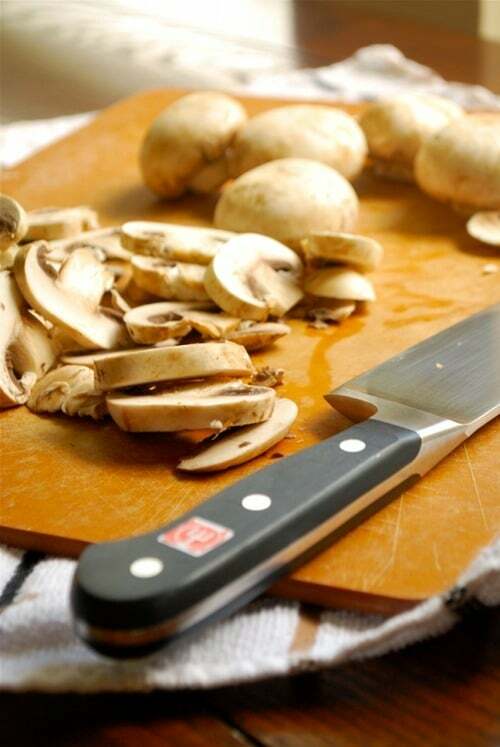 Add garlic, onion and mushrooms and cook for 5 minutes, stirring occasionally. Add spinach, remove from heat and stir to combine. 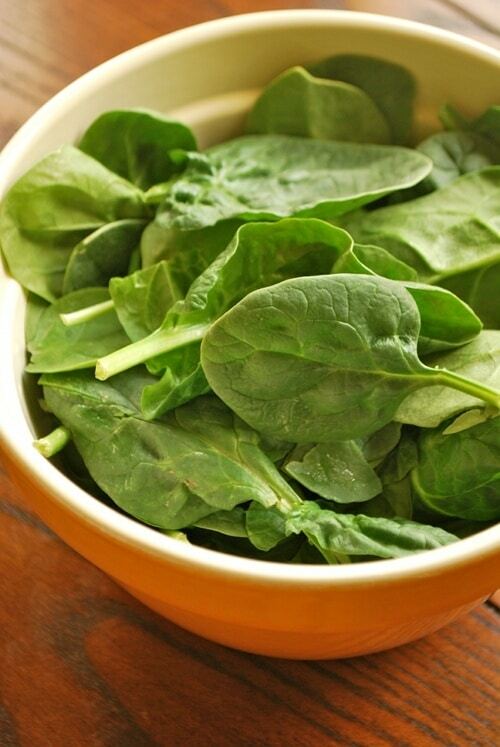 The spinach will wilt quickly as it mixes with the cooked vegetables. Set aside. Heat 1/2 tbsp. oil in clean non-stick skillet over medium heat. Lay one tortilla flat on skillet. 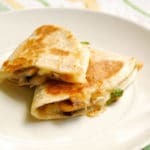 Sprinkle equal amounts of mushroom-spinach mixture and jack cheese over half of the tortilla and fold uncovered half over to form the quesadilla. Cook each side until golden brown and cheese is melted, about 2-4 minutes per side. Remove from heat and cut into wedges to serve. I often make black bean & corn quesadillas when I’m trying to go meatless. This looks like a nice change of pace! Mmmm…looks delicious! 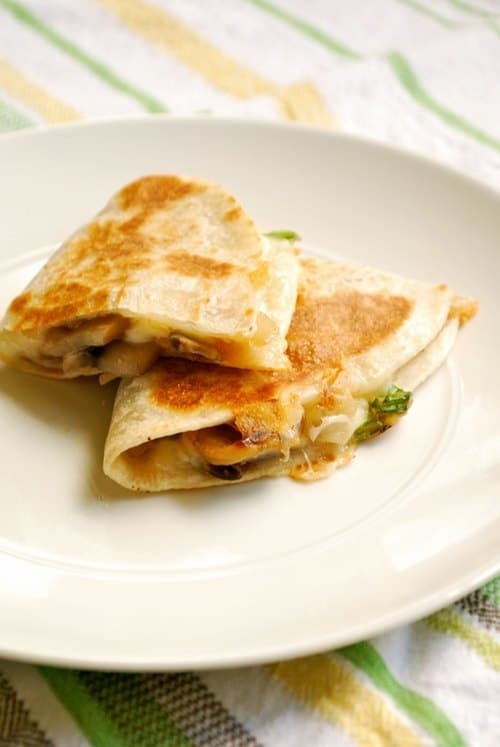 I love spinach and mushrooms…what a great quesadilla!